Irish people take their culture and traditions very seriously. They tend to be very religious. Hitting the pub, listening to live music and watching some river dance is standard and you should not miss out on that while being in Dublin. Known for its literature, the Oscar Wilde house, the Writer’s museum and the Winding stair are places not to forget. The Irish cuisine is a very basic one but there are two things you absolutely have to try: Fish & chips and a beef & Guinness pie! Sport is written big. Gaelic football excites masses of people for 3000 years already and so does hurling and Rugby. Croke Park is a must-see stadium which it having seats for more than 80,000 people and also features a museum and guided tours. Ireland has a friendly population. People are passionate about sports and a pint of Guinness. It seems like prejudice but it’s actually the case which you find out when coming here. Easy to satisfy and to talk to, it’s easy for single travellers to get in touch with someone. If ever in need for some directions, we’re sure you will find a kind soul helping you out with that. Humour and warmth are two additional characteristics of the Irish which sounds promising to have a good laugh with some and to feel welcomed, wherever you go. Some people would probably say they don’t like to travel alone since there is nothing to do all by yourself but that is absolutely NOT true, especially in Ireland. Pub crawls are offered on a daily basis or why don’t you just join a daily walking tour? Starting point: Central Bank. It can’t be any easier to get in touch with someone while exploring the surroundings. Other paid tours are Viking Splash, Do Dublin, 1916 or Dublin by bike. Finding accommodation in Dublin is not always easy but fortunately you can make use of the sharing economy. Sleep in someone’s house or couch. Hostels are present all over Dublin and so are bed & breakfasts. 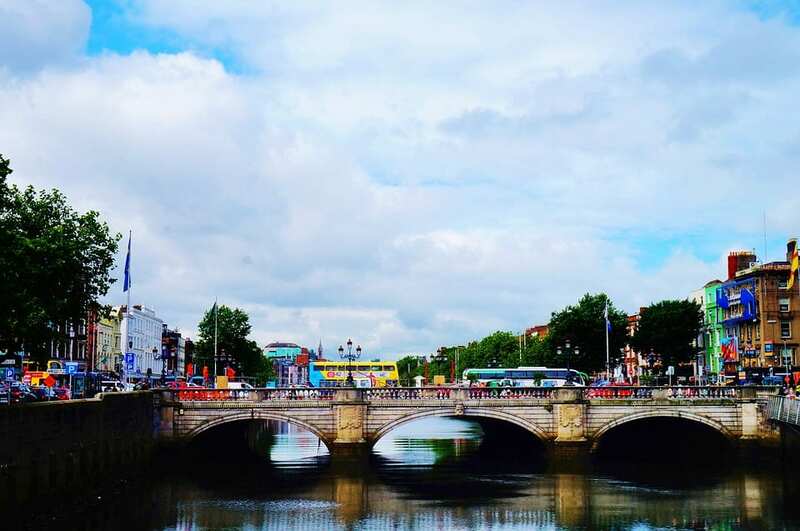 However, O’Callaghan Hotels are perfectly located for single travellers since they are close to the City Centre and many sights such as Trinity College and the National Gallery of Ireland. Make sure to book your single room in advance, Dublin is a busy city and accommodation sells out quickly. Getting around the city is very easy. Just hop on the bus wherever you see a yellow Dublin Bus sign and pay your ticket when getting on or just get yourself a tourist Leap card. Taking the Dart to the coast is tradition and has to be done! Tara street and Pearse station are centrally located and get you anywhere in no time. The Luas is the local tram and drives through the city only. The advantage of it is, that it is less busy than the other public transport possibilities. If you think of Ireland, the first thing that comes to your mind is probably the pubs and that’s understandable. Dublin has almost 700 pubs throughout the city. Social life is important and the drink after work is a tradition. You do not leave this country without having been to a pub. The nice part is that people do not only sit there and have a drink but in Ireland a pub comes with live music, dance performances and friendly waiters. Sit at the bar, choose from a wide range of beers and enjoy a talk with some locals.